In this post, I’ve answered the question “does eBay work in Ghana?”. With tips on making online shopping & shipping work from Accra & elsewhere in 2019. In Accra, and elsewhere in the country eBay is surprisingly popular. Both for purchasing items from local, Ghanaian eBay sellers and as a global marketplace. The website which is meant for visitors from Ghana, or those who want to send items to friends and family there is the “global eBay site here”. It has some localization features, such as turning out relevant search results and automatically estimating shipping & delivery costs. Continue reading to get the most of eBay in Ghana. As eBay consists of a vast number of “shops” that you can buy from, it’s a good idea to narrow down search results for your individual online shopping needs. As eBay is commonly used by sellers from Ghana to enter the global market, you can also shop among them online for fastest and cheapest delivery. Step 1. Click on to advanced search page on Ghana eBay. Step 2. Look for the “input field” and fill in the name of the product or item that you want to purchase from the eBay marketplace. Step 3. After that, scroll down further until you see a drop-down list of countries to narrow down the search for — “Located in”. Step 4. Select Ghana on the list and complete the search! For example, Ghanaian customers are commonly using eBay to purchase cheap items from Asia with affordable shipping options. Here’s how…! Step 1. Click on to Ghana eBay site with global features. Step 2. Do a normal search for your product or item. Step 3. You’ll see settings on the left for choosing regions. Step 4. Click on “Asia” for example, and only search results from that region will be shown on the same page you are on. That’s it..! Does eBay ship to Ghana? 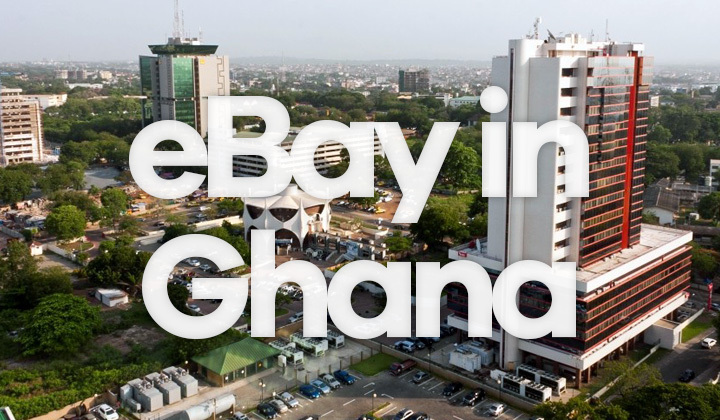 Not only eBay works in Ghana, there are many international and local sellers there that support shipping and delivery to Accra, Kumasi, etc. Support does however depend on the individual seller, also which sending options are available does differ. So my usual advice is to contact them in person if the shipping method you are looking for is unavailable. Some items are even shipped for free, from Asia for example. Locations that support delivery include; Tema, Tamale, Accra, Cape Coast, Kumasi, Teshie, Ashiaman, Obuasi, Sunyani and Sekondi-Takoradi. As for the cost of shipping, it will be automatically calculated when browsing eBay from Ghana. Otherwise, you can enter the product page and change the country. Note! All costs for shipping and delivery are shown in US Dollars (USD) only, Ghanaian cedi (GHS) localization is not supported. Furthermore, COD (cash on delivery) is not supported. Besides the usual support for PayPal and credit cards. A commonly used solution for payments within Ghana is to use virtual credit cards or debit cards. They are nowadays provided by many banks and businesses, such as VCCGhana, BOA Ghana, GTBank Ghana and others. Both Visa & MasterCard. Usually setting up these cards is free and registration is fairly straightforward. Then you can just top-up the card with cash as needed for your eBay purchases. As you make the payment, the final bill will be charged in Ghanaian cedi (GHS). Weather you are a business or simply want to auction your items to online shoppers in Gahan, eBay provides convenient services to achieve this. For international sellers, use their global shipping program which will fully support you from square one on establishing business there. Also everything is English which is all very convenient of course. Note! There is no eBay.gh website version available, as is the case for some of the bigger country localizations, the global site works very well in Ghana. Any more questions about ecommerce and online shopping in Ghana? I’m most happy to answer questions on eBay, shipping, etc. Great you could stop by and I hope you benefited from the post. If possible, consider sharing it on social networks with the buttons below. As a last measure, I want to establish transparency with my readers and notify you that affiliate links are often present in these guides, reviews, pots, etc. Much thanks and regards, David.